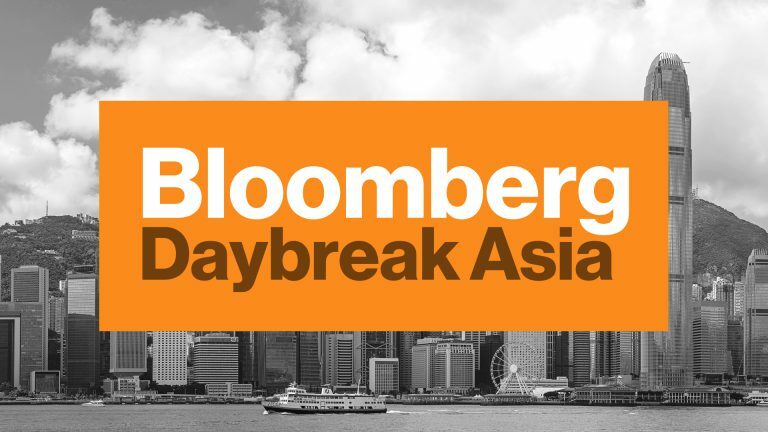 TV with Thinus: Bloomberg Television on DStv dumps First Up; replaces it with new weekday show, Daybreak Asia, covering the upcoming day's Asian markets news. Bloomberg Television on DStv dumps First Up; replaces it with new weekday show, Daybreak Asia, covering the upcoming day's Asian markets news. Bloomberg Television (DStv 411) is dumping First Up and replacing it with Daybreak Asia as a new weekday show covering the upcoming day's Asian markets news. Bloomberg Television on Tuesday announced that First Up is being replaced by Daybreak Asia that will be anchored by Betty Lui as well as other anchors in New York like Ramy Inocencio, Su Keenan and Kathleen Hays as well as in Hong Kong Angie Lau, Yvonne Man, Rosalind Chin, Haidi Lun and Shery Ahn. Daybreak Asia will be seen in Africa on MultiChoice's DStv satellite pay-TV platform on weekdays from Monday mornings to Fridays, from 01:00 to 03:00. "Over the past year, our mission at Bloomberg TV has been to align our sophisticated programming and unparalleled journalistic resources around the world to create the number one business and financial television network," says Al Mayers, the head of Bloomberg TV and radio. "The combination of anchors in New York and Hong Kong will tremendously enhance our coverage of global markets, and deliver to our viewers the essential news and information they need to start or close their business day". Bloomberg Television says that in addition to having top business and financial guests on Daybreak Asia, the anchors will offer insight into the latest news and movements in global markets.